Nancy Drew races against time to unravel the clues in a dead man's letters. If she succeeds, Philip March and his little granddaughter can be saved from financial ruin. Following the obscure clues, Nancy undertakes a search for some unpublished musical manuscripts which she believes are hidden in the dark, cluttered attic of the rundown March mansion. But someone else wants them enough to put many frightening obstacles in Nancy's way. 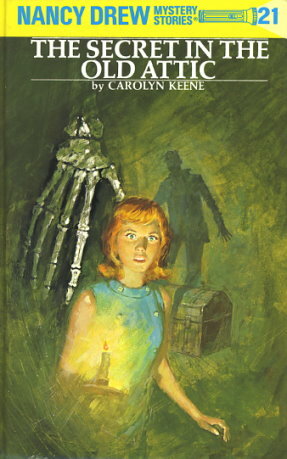 It takes courage and ingenuity for the alert young detective to discover the significance of the skeleton with the upraised arm and to find the source of the spooky sounds of music in the old attic. Startling developments await Nancy when she aids her lawyer father in doing some detective work on a case involving a stolen formula for a unique silk-making process. How she outwits a trio of ruthless thieves and solves the Marches' problems as well as her father's case makes exciting reading.